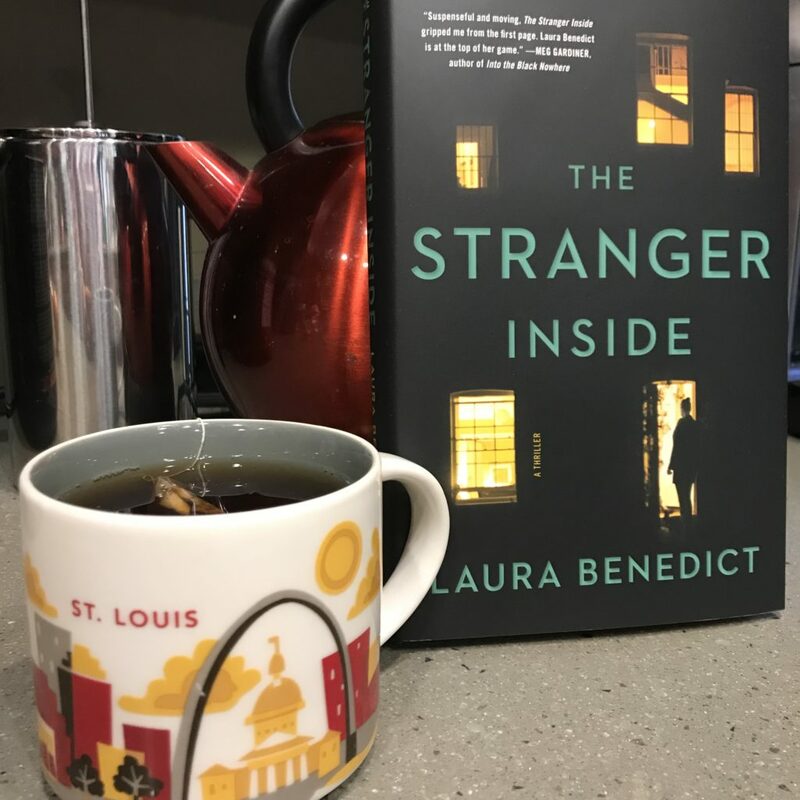 This entry was posted in Writing and tagged Forest Park, Laura Benedict, St. Louis, The Stranger Inside, William Gay by Laura Benedict. Bookmark the permalink. I often write about places I haven’t been, usually small, un-touristy places that are close to larger places, for example Cassis, France (a suburb of Marseille). Those places generally form the backdrop for whatever’s happening in an action-adventure or mystery story. The reason: because they’re intriguing to me, and I *wish* I could live there for awhile. (grin) So I do, in a way. Sorry I missed you this morning, Harvey. Writer friends can be such life savers for details. And I’m with you in imagining I might live somewhere. My tend to focus on types of houses rather than places. • A WIP is set in Miami in the 1930’s -40’s (like JSB’s early LA – before my time, but I grew up around a lot of the neighborhoods and buildings from that time before air conditioning and the steel-amd-glass high rise boom). There are places I’ve been that I would love to use as settings, but don’t know enough about to have them inform my character building, though by reading series authors like Michael Connelly, Craig Johnson, C.J.Box, John D. MacDonald, and the aforementioned JSB, I do begin to get a sense of location and how it molds the “who” of the story as much as it provides a stage for the “what” and “when”. Thanks for the mention in such fine company, George. Just those descriptions of those settings already say a lot about your characters, George! If I’ve been somewhere, I expect books set there to create a familiar feel — books set in Los Angeles that can get characters from A to B without mentioning the traffic; books set in Florida that ignore the draining heat an humidity–they lose me quickly. Excellent point about making sure key details like traffic and weather are in the mix, Terry. St. Louis is a sprawl and traffic can be very unpredictable on Interstate 64/Highway 40, a primary east/west artery. That sort of thing can also be used to great advantage in crime novels–i.e. alibis and corpse decomposition. “…I still use settings “based on” rather than try to include too many specifics.” A wise choice! Thanks for the clue about the email addresses on WP. My site is WP as well. Yay! I’m almost always in L.A., because it’s the best noir city in the world and has infinite possibilities for characters, crimes, and micro-settings. I need to expand my research, e.g., Romeo’s Hawaii. I’m still trying to figure out a way a Blackthorne op could take place on the Galapagos. Heading there in March, but don’t think I can write off the trip. Maybe the UK in the fall. I don’t think Hawaii would be a stretch at all. Doesn’t everybody in L.A. go there for weekends, or something?! I definitely prefer to write about places I’ve been or at least places like places I’ve been. I’m currently working on a western set in Wyoming so I’m planning a trip this spring. Thank you, Doug. Wyoming sounds like very enjoyable research! I really enjoyed The Stranger Inside! But Devil’s Oven is among my top favorites. I’ve been fortunate (or unfortunate, whichever way you look at it) to move a lot, going on #20 something. And with all that experience, I still feel drawn to the South, in particular Mississippi/Alabama/Florida >Home Sweet Home. The latest story is a little bit of all 3 states sandwiched together, (more like a moon pie during Madri Gras – smooshed but still in the wrapper). My hope is that it’s such a magical or mystical place that my neighbors are forgiving. This post gives me hope that I can take some liberty with the location and focus on telling a good story. Making stuff up is a fiction writer’s privilege. Just the fact that you’re sensitive to it means you’re undoubtedly fine! I second your emotion, Laura. It is best to stick to what you know, geographically. But I think you can “fake” it to some extent, if you are very careful (and maybe have a good editor). I’ve set books in Paris (which I know well) but had to do a ton of heavy research when the story took my guy to Scotland and London. (the latter I was in briefly once). My French editor said I wrote his city like a native but had to help me with some references in the other locales. I got away with it, I think, because my protag was only in the London and Scotland briefly, with most the action taking place in Paris. I was struggling with my WIP because it kicks off in Nashville, a city I have visited only once. It has to start here because it is a sequel and the character’s backstory is set here. But my sister and I decided, finally, to get him out of Nashville as quickly as possible so we wouldn’t feel constricted by our lack of deep knowledge. Locations are too important to us for our books, so he’s on the road for his case by chapter 3! We knew we couldn’t pull off an entire story set in a city we didn’t know. What’s odd is the plot eventually takes him to Macau. But Kelly’s son has lived there for 10 years now and she has visited often and is going again next month (research!). So we have some help there! Congrats on the new book by the way! I love the cover. Like its use of negative black space alit with the yellow windows. Creepy, like a jack-o-lantern. What a great story about getting your character out of Nashville–and then to have him end up in Macau! Another research trip win. Lucky you, knowing Paris so well. Talk about a wonderful resource to have. I’m terrified to really fake it. My WIP is set in Louisville, and while I lived there as a child and teenager, I must go spend a few days reacquainting myself with it. There are many places I can’t even recognize. Oooohh great points. Though I don’t think I’ve ever read a novel where I thought the author screwed up the location. Idk if I’d know unless I’d been to that location. Hmm. My current WIP, a dystopian fiction, is set in Northern Louisiana and Colorado. I’ve never been to N LA, but I have been to NOLA numerous times and spent years skiing in CO. I rely on Google maps and friends for the LA part. And a terrific photograph/historical book by C. C. Lockwood, “Atchafalaya.” Since the story is post-tsunami, I feel like I have some leeway with the details on the geography. It’s more of a challenge to nail the characters—a menagerie of migrants. Thanks for giving me much to think about. Your latest novel sounds intriguing. It’s natural to think about returning to our past work–especially our earliest. Now that you’re more experienced you might be pleased to see that there’s lots to work with. Why not? Still, when challenged with the question about writing about only places I have lived, I always go out to that beach, listening to the breaking waves and the caws of unknown birds, amid the strong sea smells, and ask myself, whoever had lived in that land of the yellow brick road where flying monkeys menace from the skies, and that girl from Kansas sings of places over the rainbow? Congratulations, Laura! I remember your previous post where the lights go on and off in the cover. So fun. Looking forward to reading it. I tend to stay in familiar areas. I was born in San Diego and lived there until 1988. My first books were set in SD but it has changed so much in the 30+ years I’ve been gone, it’s hard to reconcile the new development with my memories. Now, if I wanted to write a story set there, it would have to be historical! After 30+ years in Montana, I’m embarrassed to admit I’ve never been to Yellowstone. In my WIP, a climactic scene takes place in that park so a road trip is definitely in order to capture the smells and textures. Isn’t it funny how our childhoods are now historical? Hysterical! Sounds like a great road trip. Go for it! If you’ve been to the Arizona or New Mexican deserts in the summer, then I figure you’ve also been to the deserts of Mexico or Iraq–at least in terms of the climate. Capturing different cultures is more complicated. Similarly, if you’ve been to the jungles of Panama or Hawaii, you’ve also been to every other jungle in the world. Flora and fauna change some, I suppose, but those things never play in my books because the characters are generally focused on survival. I fill a lot of gaps with Google Earth. In the finale of FINAL TARGET, my bus load of good guys make a race for safety through Mexico, on their way to an extraction point on the Yucatan Peninsula. By using the Street View tab on Google Earth, I was able to travel the entire route as if I were driving it. I could throw in the presence of a restaurant at the corner of X and Y Streets, and I could reference the nasty-looking hospital further down the road. Writing novels is an exercise in making stuff up, of extrapolating on things that we know in order to create a world for the reader that seems real. The protagonists in all of my books have been rooted in Virginia, my lifelong home, but few of those books feature action in Virginia. If they go to New York or California or Mexico, they go as Virginians–as tourists, essentially. So, if they’re in California and they refer to “Route 5”–as we would in the East–as opposed to “the 5” as SoCals do, that’s okay. One of the great tells of a California writer (and this happens a lot in movies and television), is to include “the” in reference to a highway. Google Earth’s Street View is an astonishing tool. I don’t think that’s cheating at all. Next, you need to experience it in VR. That will give you total immersion. It’s the future. I set the meat of my story in an imaginary world of forests, plains, ravines and mountains. And when they were “home” it was on a farm. Both easy for me to describe. When this series is over, though, I am going to have to take up the challenge of writing in the real world. Do it, Julie! You are actually a resident of the real world, so you’re already a pro! I have to say that I mostly write about familiar places. I’m not an advanced writer, by any means, so I’m sort of just not in that stage yet. I’m a home-body and am deeply in love with my familiar places; that being said, I adore writing of them and painting a picture for others to share. Jillian, it’s a true gift to be in love with familiar places and to be able to write about them. Emily Dickinson rarely strayed from home, and she wrote over 1500 poems. Jillian! You’re the winner of the signed copy of THE STRANGER INSIDE. Drop me an email at l.benedict@laurabenedict.com with your details. Congratulations! P.S. I have a nasty case of food poisoning that has kept me from important things like drawing at 9:00 p.m. My apologies, everyone! I like to write about fictitious small towns (usually with quirky characters) that exist within areas that I know well. It’s risky writing about places you haven’t lived or visited, because the way people converse and interact with each other can be so different. Sometimes a town can almost be like a character. The people that live in a fake towns can, of course, always visit real state landmarks outside the town, too. For those concerned with legal issues, it’s best to make up the names of restaurants and such. That being said, it’s easier to visit places via the Internet these days, and it’s possible to write about just about anywhere if you’re willing to do enough research. Want to visit Paris? Check out webcamtaxi (https://www.webcamtaxi.com/en/paris-live-webcams.html). Of course, it’s always fun to take a field trip if you plan to write about a place you’ve never been. Congrats on your new book. I saw a wonderful review of it at PW. The cover draws me in immediately, and the story sounds intriguing. I’d love to win a signed copy! Put my name in the hat. I’m all for field trips–especially to Paris! Love writing about small towns. And you’re absolutely right about characters being able to get out and visit real places. Creating a small town is like creating a family with real roots. I tend to stick with places I know. However, in between projects I’m picking away at a story set in Kenya. Although I’ve never been to Africa, my neighbor is a native. When I finally find time to concentrate on that book, without other projects vying for my attention, he’ll be my saving grace. Being an obsessive traveler, I’ve been able to drag my readers all over the place. However, some places are very similar and your experience can roughly describe the terrain. For example, I’ve been to Costa Rica (a month in the jungle) and Guatemala (2xs for a month each time), but my last thriller took place in Colombia. My husband has been there twice, so that helped. I also use Google Street View to cruise the neighborhoods to get a feel for the cars and people. Another issue can be an off-limits area. A different book I wrote (a conspiracy thriller) was actually set in Guatemala. A good chunk of the setting was at the Guatemala City garbage dump. There is a community in that dump living off the refuse… about 11,000 people! But the government won’t allow foreigners to go in there. Fortunately, I have Guatemalan friends who have been there to help and they filled in the details. I get a lot of feedback from readers feeling like they discover someplace new with me… I like that.